The spring is typically a busy season for transfers and this year is no different. In fact, it seems like more high profile wrestlers are on the move than ever. 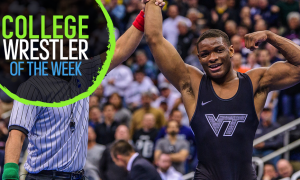 Six of the top ten teams at the 2018 NCAA Championships added a notable transfer and below is a list of ten significant wrestlers that will be appearing in new singlets during the upcoming 2018-19 season. 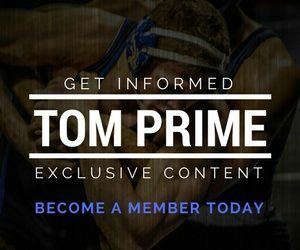 The Wolfpack fill a potential hole at 149 lbs with Oliver a 2016 All-American who has a year of eligibility remaining. Justin will be looking for help getting back onto the podium after finishing in the round of 12 in each of the last two seasons. 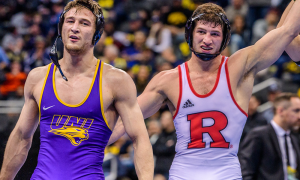 With the graduation of three-time NCAA champion Zain Retherford, 149 could be up for grabs, and if Oliver is in contention, then NC State has a good shot at competing for another NCAA team trophy. Recently Connor Schram found out that he had been granted a sixth year of eligibility and with that additional year he will finish his career in his home state wrestling for Lehigh. Schram was a Pac-12 champion and NCAA eighth-place finisher during the 2016 season for Stanford but had final campaign cut short due to injuries. Connor will fit in nicely for Lehigh at 125 lbs with the departure of three-time All-American and 2017 NCAA champion Darian Cruz. 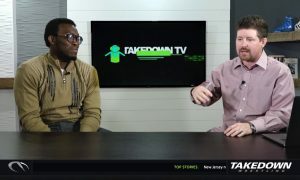 The most notable casualty of Eastern Michigan’s decision to discontinue their wrestling program was their first All-American since 1999 Sa’Derian Perry. Sa’Darien will stay in the MAC conference and transfer to Old Dominion. 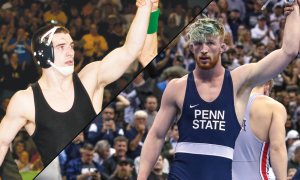 The previous three wrestlers mentioned only have a single year of eligibility remaining, while Perry has two years remaining for the Monarchs. 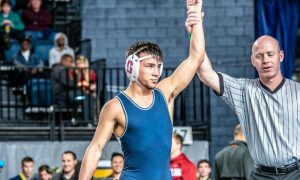 Though head coach Steve Martin has a returning NCAA qualifier Alex Madrigal at 141 lbs, I’m sure he welcomes an infusion of talent that Perry will bring and will let the wrestlers sort it out. Without a doubt, the most controversial member of this group is Austin DeSanto. 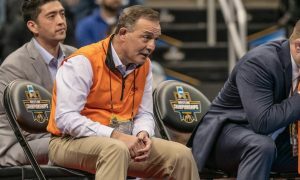 Austin’s freshman season ended on a low note with his behavior during the NCAA quarterfinals against Stevan Micic and in the round of 12 with Scott Delvecchio. 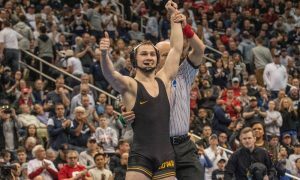 DeSanto cited the competition in the Iowa room and his desire to win NCAA titles as a reason for moving along to Iowa. It remains to be seen how he fits in Iowa City. Will his constant in-your-face style thrive under the tutelage of the Brands brothers or not? Virginia Tech will get the services of graduate-transfer Tom Sleigh during the 2018-19 season. Sleigh was a three-time NCAA qualifier for Bucknell, who in 2017 earned the 13th seed competing at 197 lbs in the NCAA Championships. 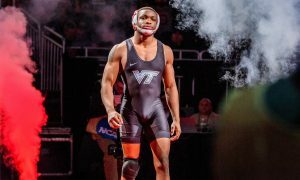 Though three-time NCAA All-American and NCAA runner-up Jared Haught has graduated, it appeared the Hokies would fill his potential void with redshirt freshman John Borst. Now with Sleigh in the mix, there’s the possibility of Borst moving up to heavyweight. Though he qualified for the NCAA Championships in 2016-17, Mason Smith had a breakout year last season for the Chippewas. Smith placed fifth at the Cliff Keen Las Vegas Invitational, won the Midlands Championships, and brought a 30-5 record into nationals. Arizona State broke into the top ten in 2017-18, and the addition of Mason will only increase their chance to improve on that finish. The Sun Devils have a few former top recruits at 141 lbs, but no prior NCAA qualifiers at the weight. At this point, the most notable wrestler to follow Chris Bono from South Dakota State to Wisconsin is NCAA qualifier, Connor Brown. Connor qualified for nationals after finishing fifth in a deep Big 12 conference in 2017-18, as a true freshman. The Badgers will lose four-year starter Johnny Jimenez to graduation, so Brown’s transfer is a welcome addition to Wisconsin’s lineup. One of the strangest saga’s of last season was the midyear departure of Kanen Storr from Iowa State. 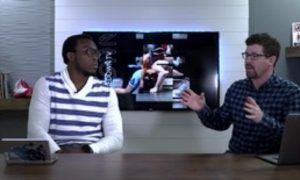 Expectations were high for Storr after an excellent redshirt season. However, he struggled at times while competing for the Cyclones. 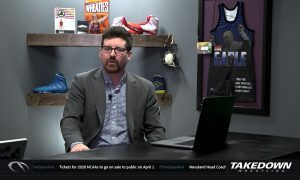 Shortly after the 2018 NCAA Tournament, Kanen announced that he would be going home to wrestle for Michigan. 141 was the only weight which the Wolverines did not qualify at the NCAA Championships, so more talent at the weight class can only help. TOM has learned that the well-traveled, yet highly talented Dayton Racer has signed with Utah Valley. Racer spent the 2017-18 season at Clackamas CC, after winning an NJCAA title at Iowa Central the previous year. Racer started his collegiate career at Virginia Tech and was rumored to be headed to Ohio State for the last year. While competing at Clackamas, Dayton picked up a 5-4 victory over Stanford All-American Paul Fox at the Reno Tournament of Champions.